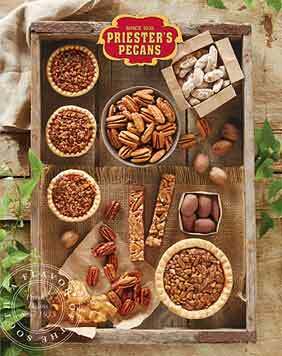 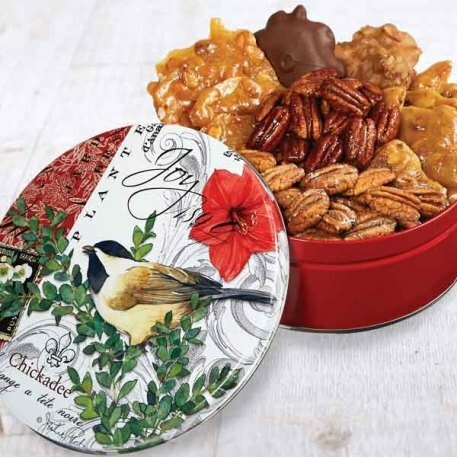 This charming Chickadee tin is sure to make anyone's day joyful with a delicious assortment of Roasted and Salted Pecan Halves, Pecan Brittle, Honey Glazed Pecans, Peanut Brittle, a Louisiana Praline, and a Southern Colonel. 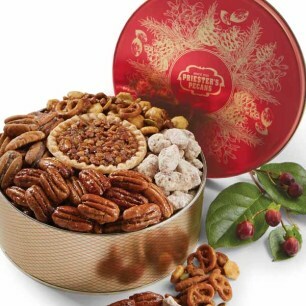 I sent this tin to my niece and her family for Christmas. 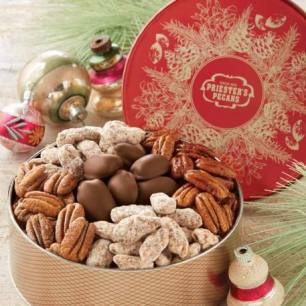 They love it!